James Garfield Monument, Washington, with the US Capitol in the background. Here’s a theory for you: of all the American presidents, the one most like British superspy James Bond is the 20th president, James Garfield. By this I mean that Garfield, much like 007, could do almost everything well – whereas more obvious choices had limitations that General Garfield didn’t have. Suave though John F. Kennedy was, his back problems meant the closest he’d ever get to a Bond mission was in a novel (and, of course, Kennedy was a big fan of Ian Fleming’s books). The ferocious Andrew Jackson was able with a gun, but he was no ladies’ man, and had health problems of his own. And neither of them was even named James, so, come on. Which brings us back to Garfield. 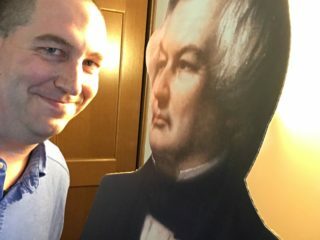 The story about him being able to simultaneously write in Greek with one hand and Latin with the other is almost certainly apocryphal, but the man could read and write both, and had won a reputation in rural Ohio as an exemplary teacher. He showed his physical vigor as a Major General for the Union in the Civil War, and even as a middle-aged man sometimes bounded into his sons’ bedroom doing cartwheels and flips. He had a way with words – at the 1880 Republican National Convention, Garfield gave the nominating speech for a fellow Ohioan, John Sherman, but was so good that the delegates forgot all about Sherman and started backing him for president. And he had wits – while known as a political straight arrow who disdained horse-trading and gamesmanship, he managed as president to trick his wily foe Roscoe Conkling into resigning his seat in the US Senate. And he didn’t even have to try that hard, either. Oh, you ask, but what about the ladies? Well, Candace Millard reveals in her book Destiny of the Republic that Garfield had that particularly base covered too – he had an affair in 1864 with a widow in New York. Sure, he broke it off a month later and confessed everything to his wife, but still, that’s kind of Bondian. 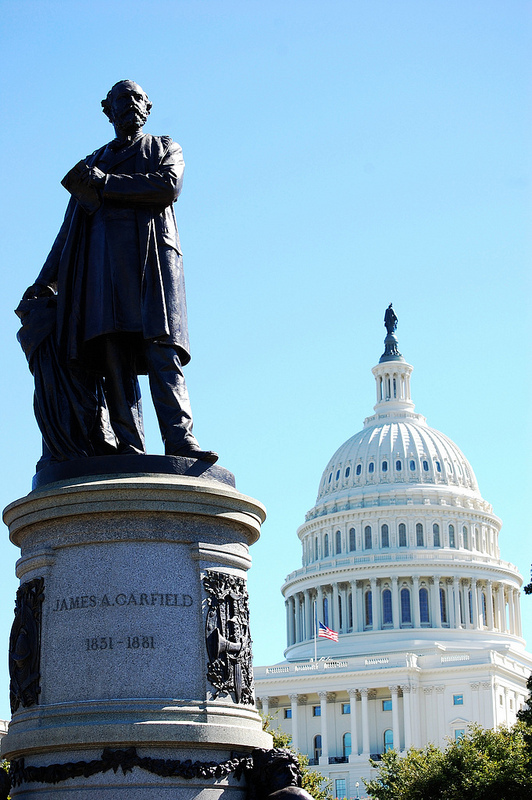 The Garfield Monument, just west of the US capitol, reflects the man’s many gifts. 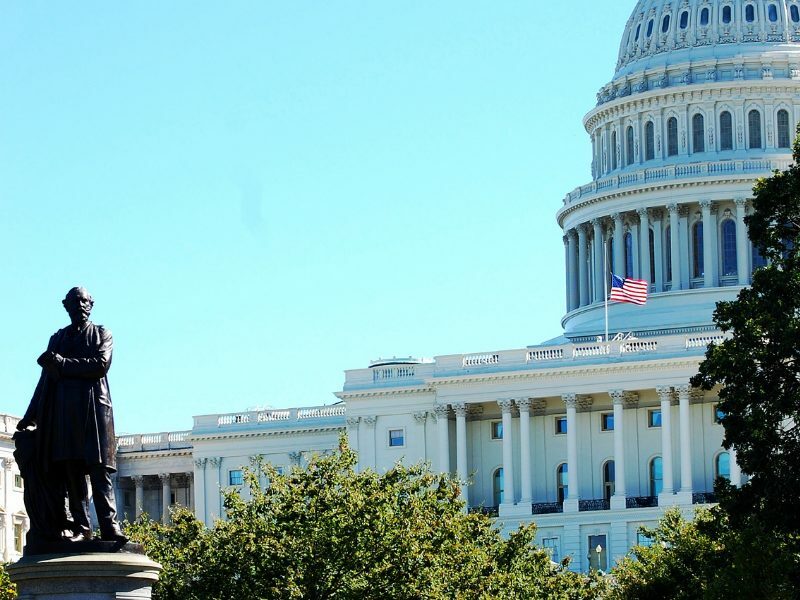 Installed in 1887, it features a very accurate likeness of President Garfield on top (the sculptor, John Quincy Adams Ward, was a personal friend of the man, which always helps) giving a speech, with the US Capitol behind him. There are three figures below him – a student, a warrior and a statesman. What’s more, the statue was completely refurbished in 1992 – no corroded green finish for double-oh-Garfield. The man looks good. BLAINE: He just tried to shoot you! You, the president of the United States! GARFIELD: Shooting the president? You’d have to be crazy to even think of it.